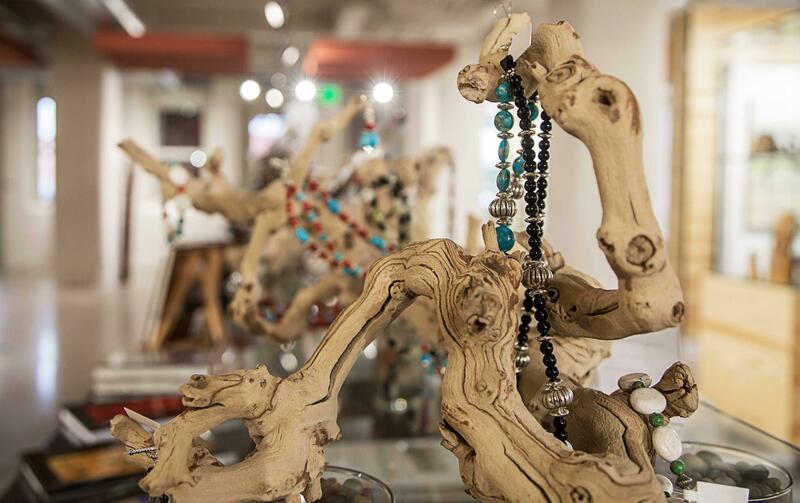 Exhibit C Native Gallery & Gifts is a 4,000 sq. ft. art gallery and retail space located in the Bricktown district of downtown Oklahoma City. 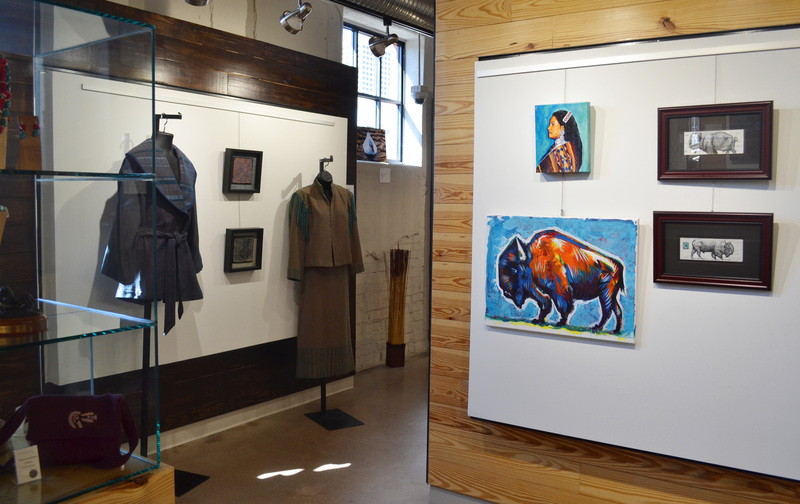 Proudly owned by the Chickasaw Nation, Exhibit C is used as a means to highlight talented Native American artists who represent their communities throughout Oklahoma. 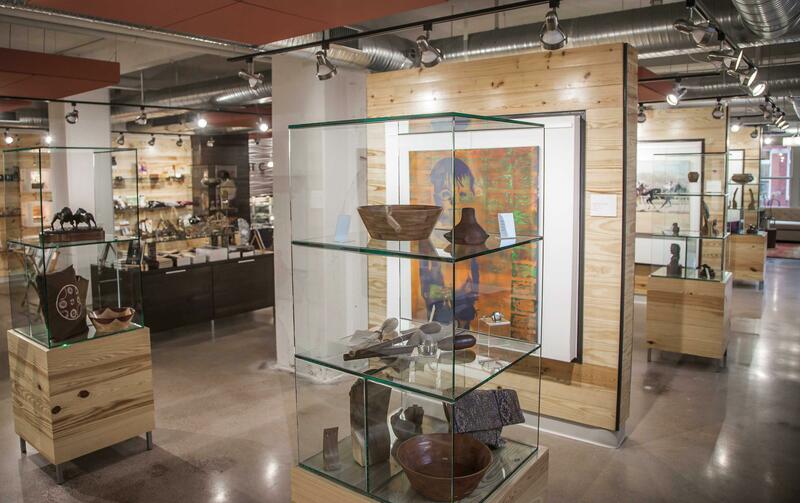 The gallery is filled with authentic pieces of artwork as well as artisan works such as jewelry, pottery, paintings and clothing all handcrafted by Chickasaw and other Native American artists, which are put on display for sale. 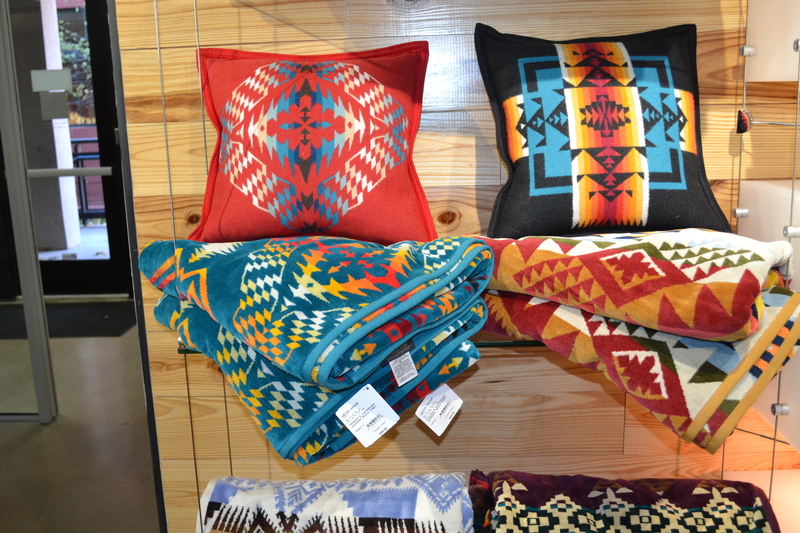 Additionally, the retail shop carries the full line of Bedré Fine Chocolate, Chickasaw Press books and Pendleton items. Exhibit C serves as a tourism information center for Bricktown guests interested in visiting any and all attractions throughout Chickasaw Country. Be sure to make your way to Exhibit C and immerse yourself in a captivating scene of authentic art and culture. 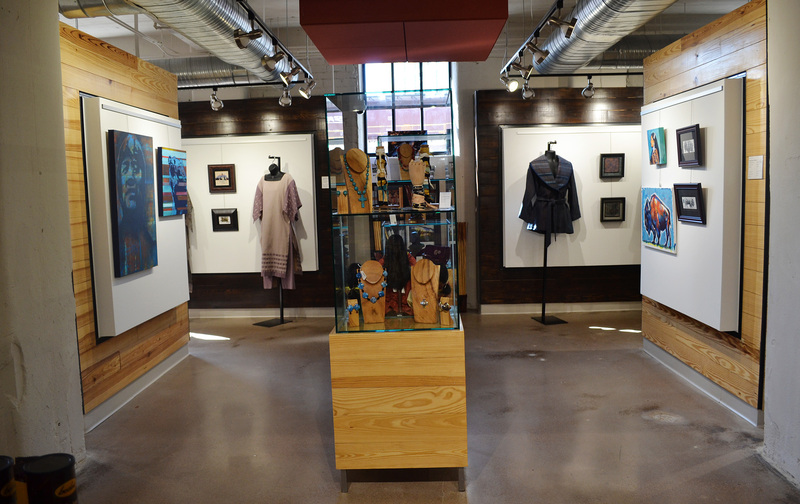 If you have interest in renting out Exhibit C for your next group or organized event, contact Tom Farris at "exhibit@chicksaw.net"
Customers can now enjoy the convenience of a 90-day layaway payment option when purchasing a single piece of art valued at $150.00 or more before tax. © 2014 Exhibit C. All Rights Reserved.